Shadow Shields be fearless. be flawless. be smudge free. Have you ever heard about shadow shields? No? This is also very new thing to me aswel, I had never heard of these shadow shields, never know the benefits of shadow shields until I get my hands on the product. 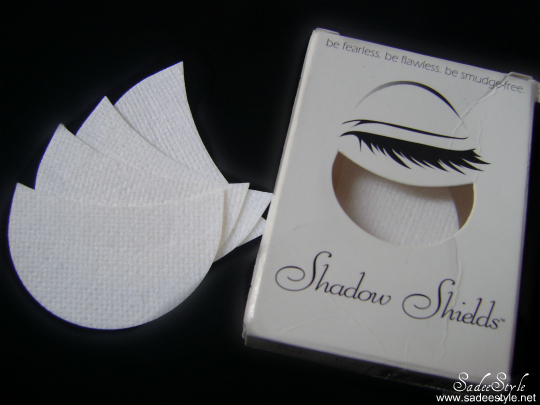 These shadow are self-adhesive shields to protects under eye area from eye shadow fallout. Before starting my review i want to tell little about this product that how it works. Lots of time when we apply an eye shadow excess product fall underneath your eyes and the result, smudgy messy raccoon eyes. I always been a very big fan of dark smokey eyes but the problem with creating dark smoky eyes when you apply your eye shadow inevitably ends up under the eye. Since the mineral makeup are available in the market in very big range and are very much in fashion so obviously you can not control the fallout when you applying mineral powders or loose pigments so these shadow shields are the easy solution for your problem, wear these shadow shield just bellow your lower lashes to avoid raccoon kind of eyes stick a shadow shield. 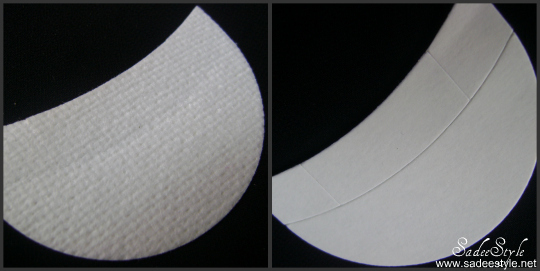 The disposable crescent shaped adhesive catch debris sprinkle of pigments mascara gobs, then peel off smoothly. If you are makeup artist or do makeup often then you must be facing the same problem but now everyone can eliminate the the mess involved in achieving perfect eye shadow application with these amazing shadow shields. Remove top corners of backing and apply shield below the eye. When finished, gently remove shields and dispose. That is pretty cool, never heard of it before and it does look pretty awesome! It's a great idea, but it is pricey. Hopefully someone else will come up with a similar (cheaper) version.